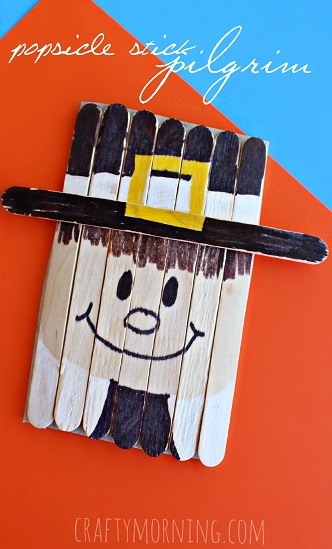 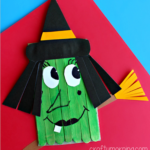 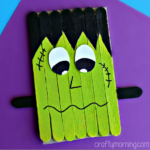 I got this popsicle stick pilgrim craft idea from my scarecrow art project! 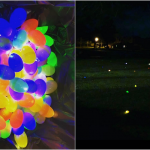 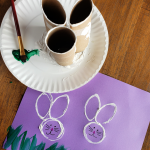 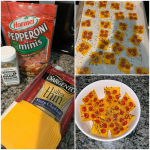 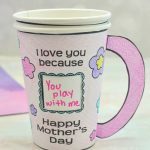 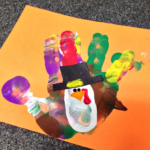 It worked perfectly and can be done using paint or markers. 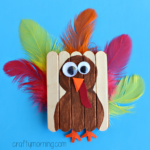 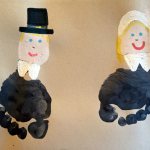 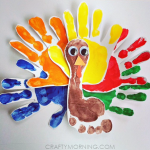 I think it would be a great Thanksgiving craft for older kids to make. 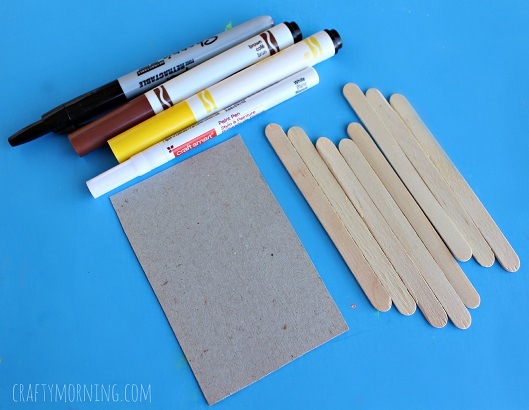 Start by cutting a piece of cardboard into the size of 7 popsicle sticks laying next to each other. 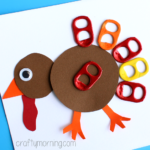 Spread glue on the cardboard and press them down, holding it for at least 45 seconds. 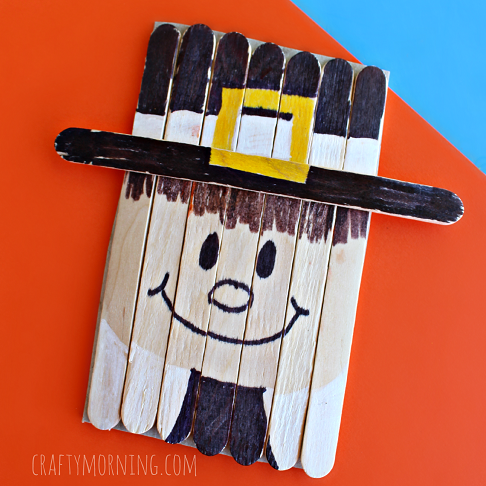 Draw part of the yellow square and then add in the white stripe/black hat. 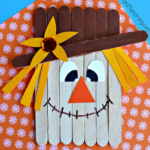 Color the extra popsicle stick and glue it across the top. 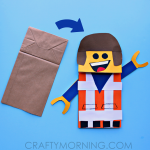 Add some brown hair underneath it, a face, and a collar.